PO box 5518, Bismarck ND 58506-5518 or phone 701-222-6718 begin_of_the_skype_highlighting 701-222-6718 end_of_the_skype_highlighting begin_of_the_skype_highlighting 701-222-6718 end_of_the_skype_highlighting begin_of_the_skype_highlighting 701-222-6718 end_of_the_skype_highlighting at least five (5) days prior to election day. Absentee ballots were delivered beginning Thursday. Applications for absentee voting are available at the county website, www.co.stutsman.nd.us, or by calling the Stutsman County Auditor’s office at 252-9035. Early voting is available at the Stutsman County Courthouse from 8 a.m. to 5 p.m. Monday through Friday beginning May 29. 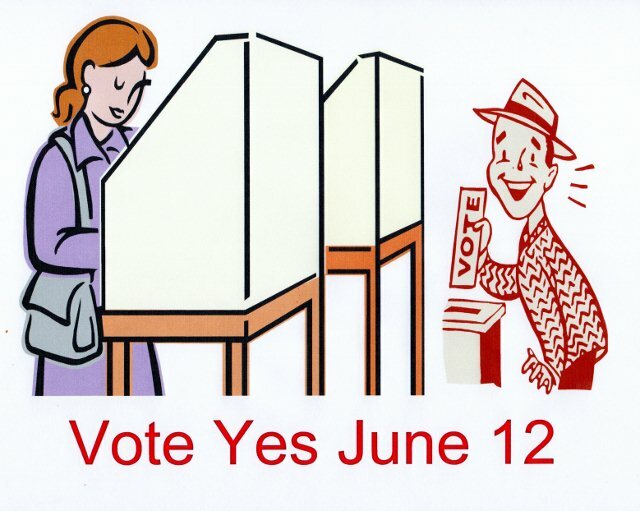 Voting is also available from 9 a.m. to 2 p.m. on June 2 and June 9. Polls open at 7 a.m. and close at 7 p.m. on June 12. The county will utilize a voting center at the Jamestown Civic Center where any eligible voter living in Stutsman County may cast a ballot. In addition, voters of Precinct 1 can vote in Pingree, Precinct 2 in Kensal and Precinct 5 in Medina. Cass County will have 3 Early Voting Precincts open prior to the General Election. The Early Voting Precincts are open to all qualified electors of Cass County to cast their vote for the General Primary Election to be held on June 12, 2012.